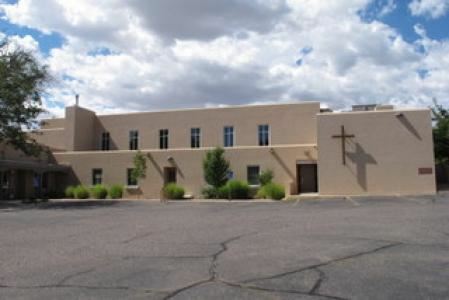 The Gallery of the St. Mark’s Episcopal Church is pleased to exhibit your work in a NON-Juried Show in the Sacred Arts Gallery in Albuquerque. A Reception will be held on Sunday morning, August 27, 2017 after services. The Gallery of the St. Mark’s Episcopal Church is pleased to exhibit your work in the Sacred Arts Gallery at the Church. NMWS Entry Fee is $5.00 per painting. The Gallery retains 20% of all sales and checks are issued approximately every 2 -3 weeks. If a piece is sold, the artist will be contacted to provide a replacement piece, if available. St. Mark’s Episcopal Church is a non-profit entity and does not collect sales tax on artwork sold within the gallery space. It is the artist’s responsibility to report any income generated from sales. All pieces must be appropriately framed and ready to hang with wire. No tooth hangers allowed. The Gallery Committee will hang, mount or otherwise display the artist’s work on behalf of the artist. The gallery will print display labels. Please affix one of the corresponding labels included with this form to the back of each piece. It is recommended that you make a copy of the entry form for your records.